The SECTOR 1255 is available in various frame variants with cutting lengths from 4300 mm to 6300 mm and cutting heights from 1900 mm to 2200 mm. The cutting depth is 60 mm. Special lengths up to 8300 mm are available on request. The range of applications of the HOLZ-HER panel circular saw can be extended as required with original HOLZ-HER accessories, for example with the Super Cut scoring system patented by HOLZ-HER. This works with two scoring knives, which score coated board materials for tear-free edge quality to an accuracy of one tenth of a millimetre. Another option is the professional cut optimization software Opti-Base V-Cut. HOLZ-HER also offers the ideal solution for processing composite materials. Composite materials are an integral part of modern architecture and are therefore of great importance to many producers. 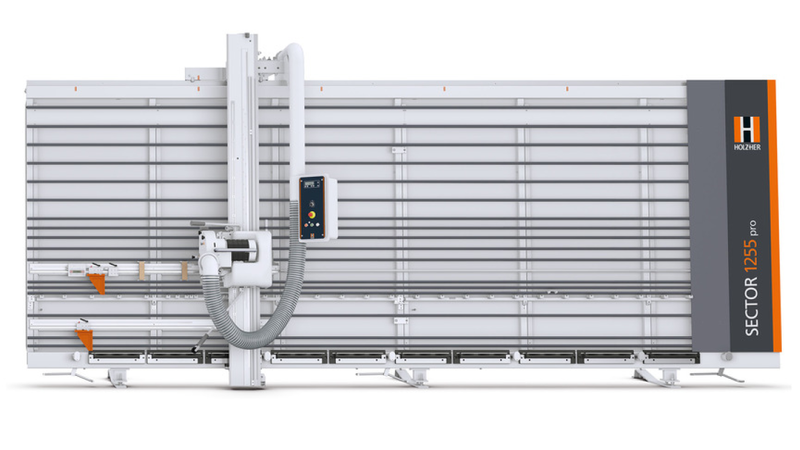 With the equipment variant SECTOR 1255V, HOLZ-HER offers the perfect panel saw for processing Alucobond, Dibond and Co. and convinces with high cutting precision and angularity.